Words can not express how impressed I have been with this camp! When Chet and I made a trip up to The Wilds to see it one day and night, we were surprised on the teaching of the Gospel. However, after actually being here for two days now, I am completely blown away at the organization, attention to detail, politeness, and the complete submersion into the Gospel of Jesus Christ in everything that I have seen the campers in! Parents, I also want to let you know that your kids are being outstanding as well. I have talked to many counselors and only heard good things. This will be the camp that I bring kids back to next year, and the next year…and you got it I think. To make that easier on the parents, my wife and I have talked about an option that I will be implementing. Starting when I get back, I will start taking monthly deposits for camp next year! This would be $30 a month per child per month. That of course would be $360 and would cover the deposit (due in February), the camp, the bundle (lanyard, t-shirt, photo), food there and back, fuel, and a bit of spending money! We could still do a lunch or two, but would make it easier on everyone as well. I will continue to send out photos and let you know what is going on as the week progresses. I am getting fired up about Summer Camp this year!!! This year we will be going to a new camp located in the mountains of North Carolina called The Wilds. Check out their web page at http://www.wilds.org/camps/youth/jbc. Campers must be at least 9 years old by September 1, 2015, and be entering Grades 4-7. We will be going during June 8-June 13. The cost will be $375 per kid. We will start our fundraiser this January 28th with a lunch following the morning service. If you are interested, please let me know ASAP!! God restores for a purpose! Just as we have been here for a specific purpose, God also has a specific purpose for which He redeemed each one of us. He went to great lengths to ensure our redemption! The Holy God so greatly loved a sinful, vile and wretched people that He would go to any depth and pay the ultimate price in order to rescue the lost. Christ sacrificed Himself, bearing not only the weight of the world’s sin, but also the wrath of God, so that we might be saved. He died so that we can have abundant life. Day 2 of CentriKid 2014! Wow! What a day!! These kids are having a blast this year while learning about God. Today the theme has been that God rescues from captivity. They have learned how God rescues His people from captivity. In the book of Exodus they learned that His people were held captive for 430 years. They were beaten and persecuted at the hands of Egyptians rulers. Through reading Psalm 106 and 107 the kids learned that God saved His people, redeemed them, led them, satisfied them, and filled the hungry and thirsty. 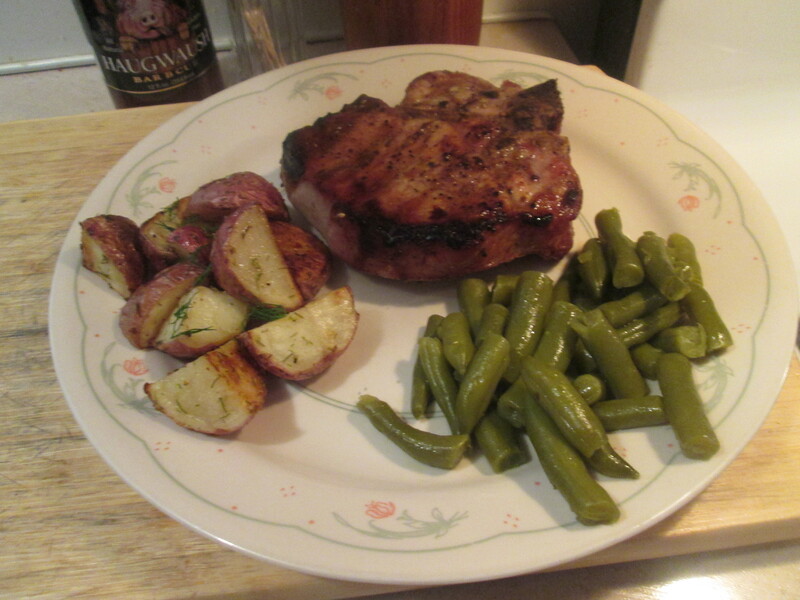 Grilled Chops, Green Beans, Roasted Potatoes…I bet your mouth is watering now! Reminder that the 4:12 Ministries kids going to camp this summer will be serving lunch on Sunday (February 16th) following the morning worship serve(11:00). We will be having pork chops, green beans, roasted potatoes, bread, dessert and drink. We would love the opportunity to serve you and work our way to camp. Cost is donations only.